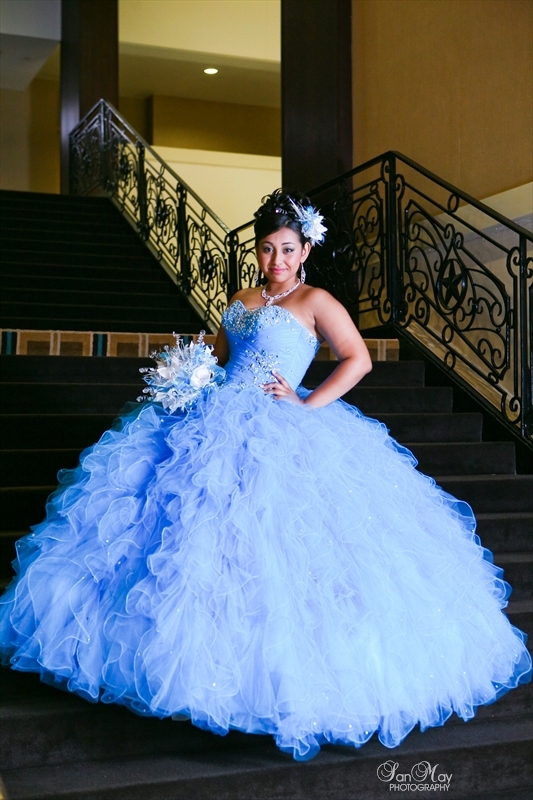 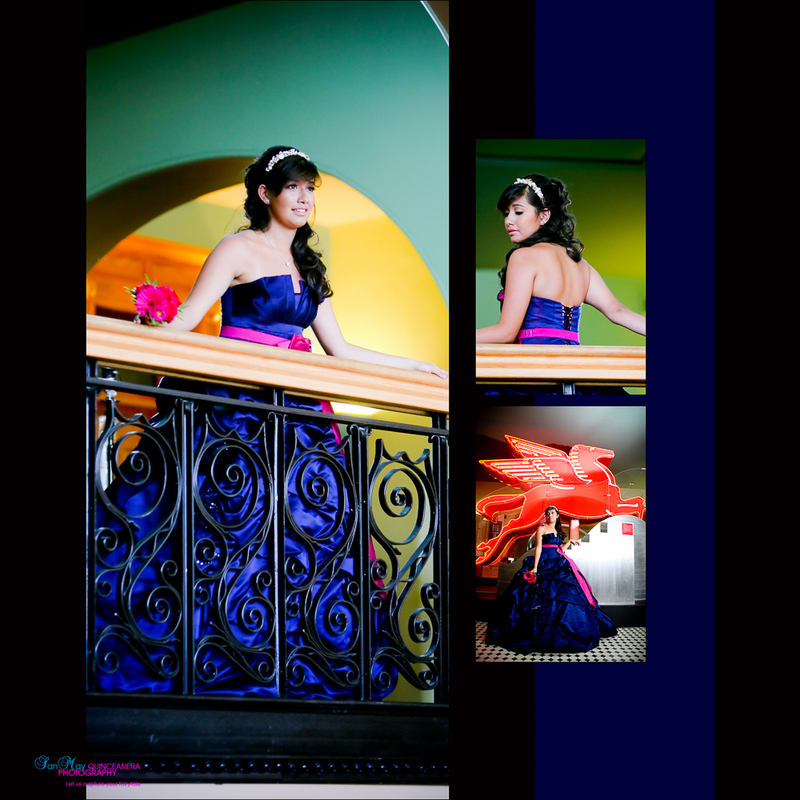 We had a fabulous time photographing this beautiful Quinceanera girl at the Sheraton Hotel in Fort Worth. 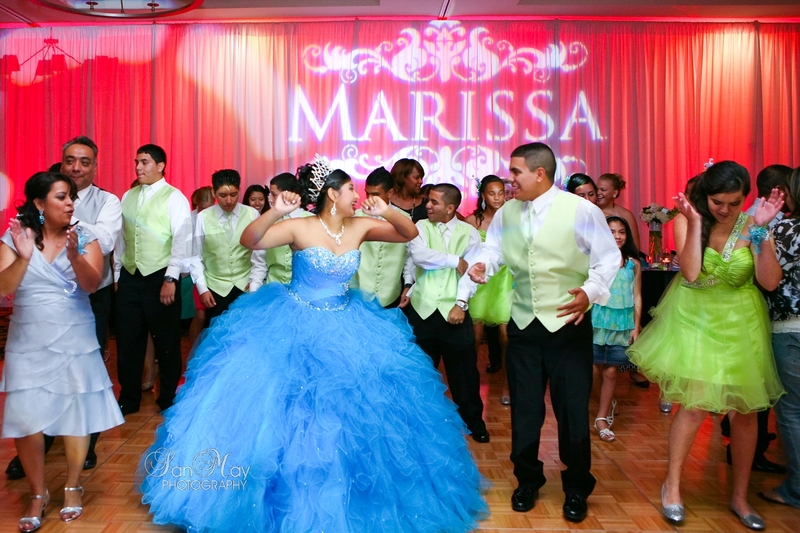 I loved all the vibrant colors of the event and the fabulous energy in the room, with all the young busting their dance moves on the dance floor. 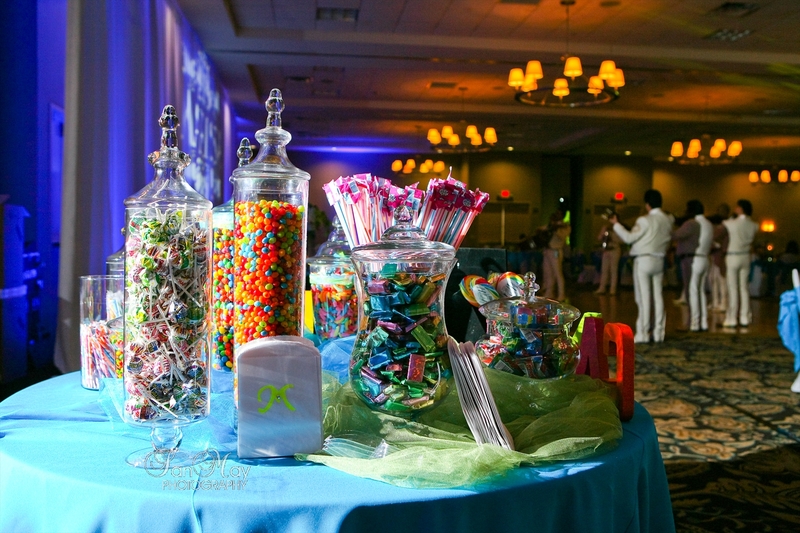 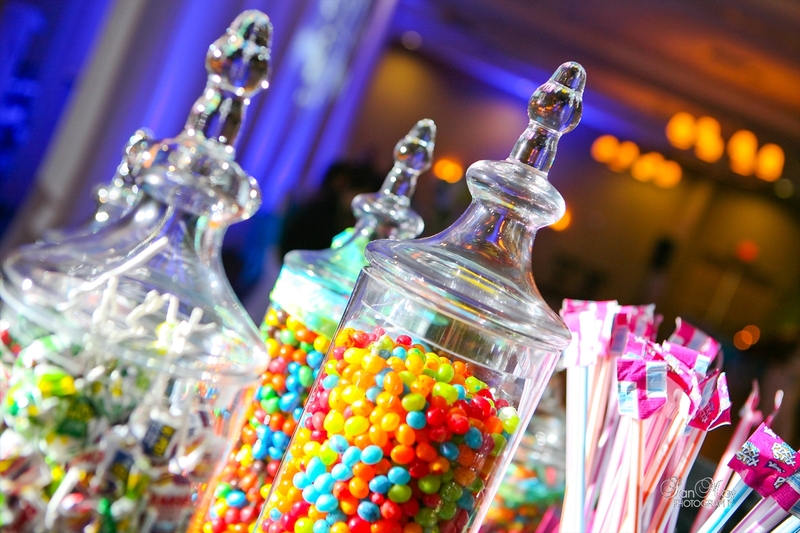 I love all the beautiful colors and the delicious candy table. 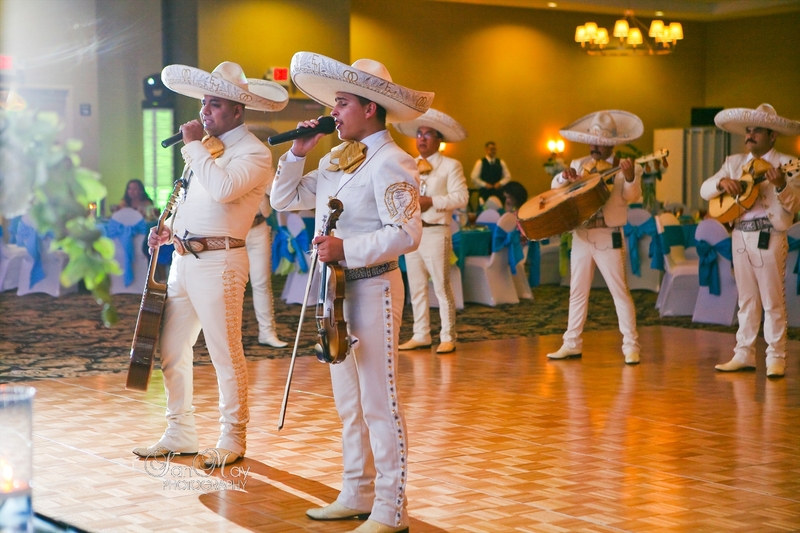 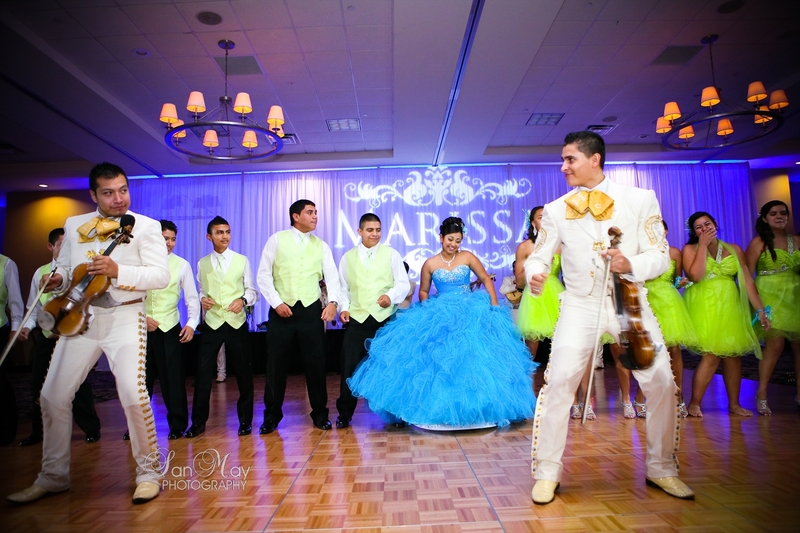 The Mariachi boogied with the Quinceanera and all the guests. 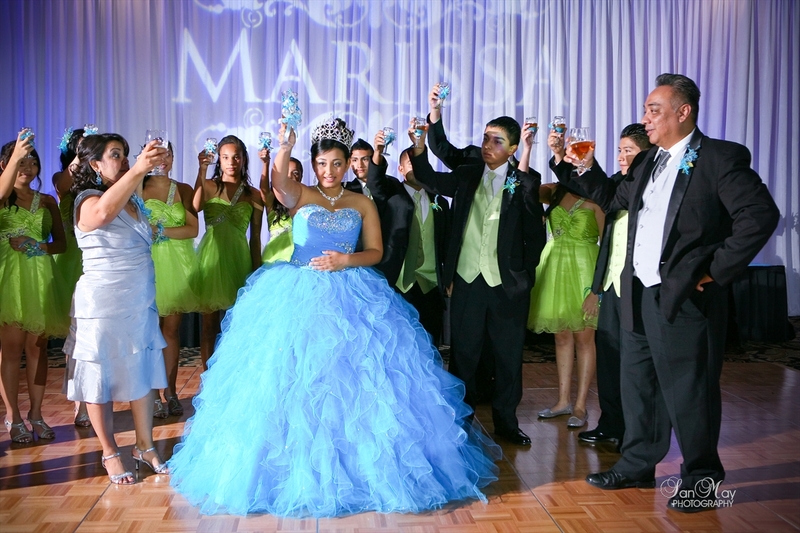 That was a very fun thing to do to get the party started. 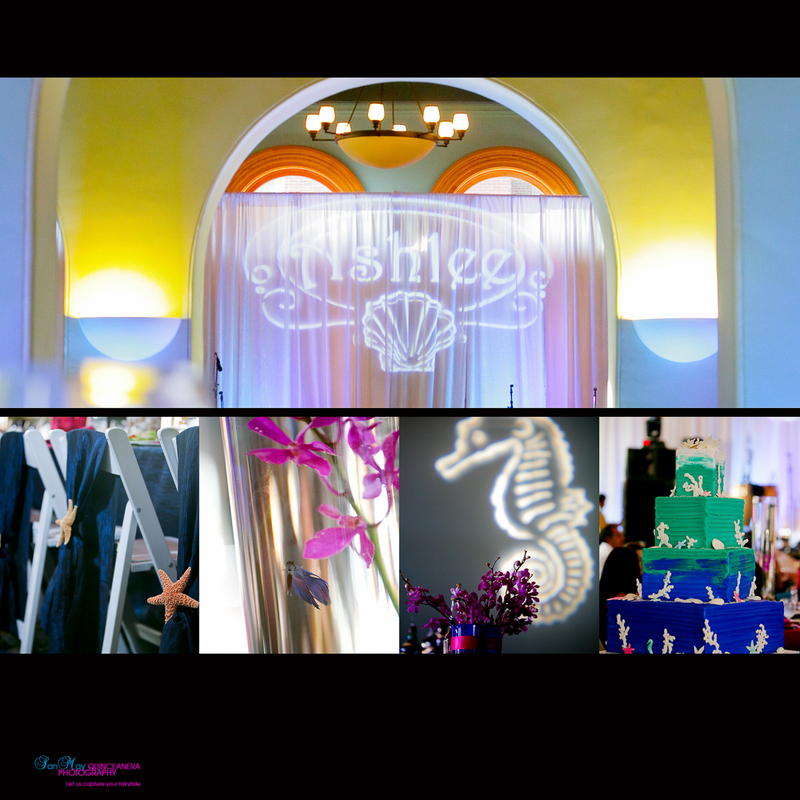 Thanks to Starlyte Lighting/Draping & DJ for rocking the house! 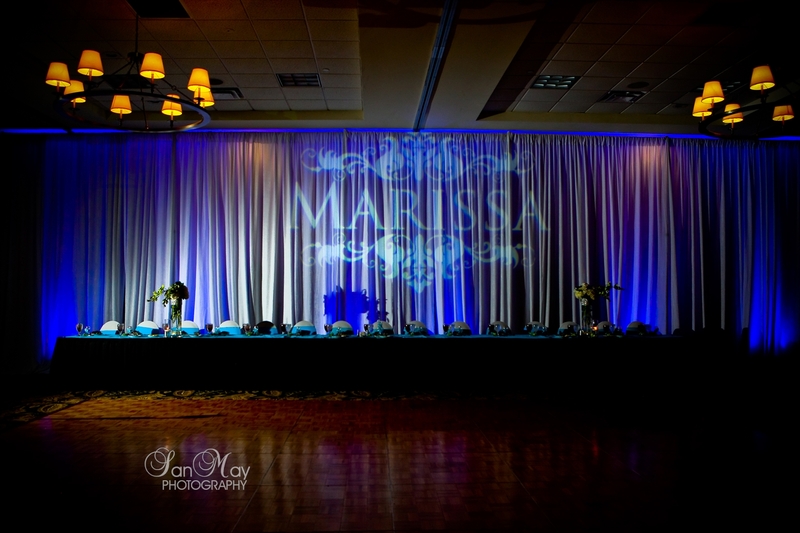 and transforming the room with spectacular lighting and draping. 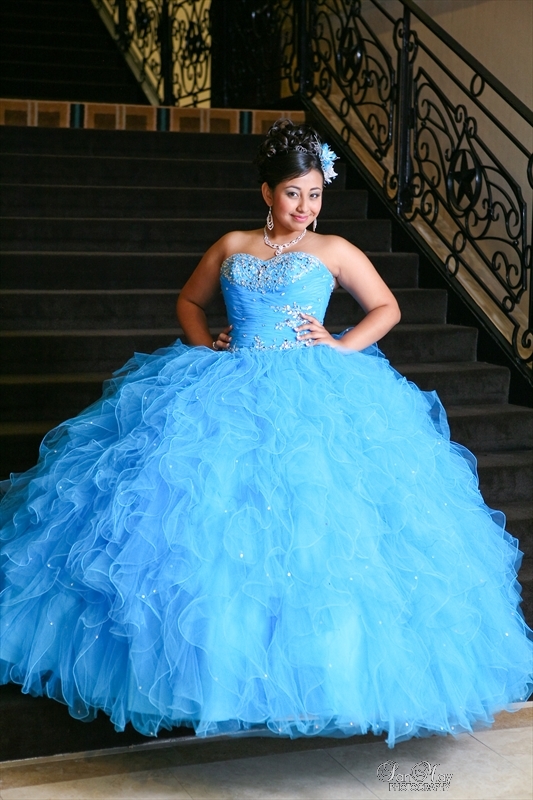 How wonderful it is to be 15 years old! 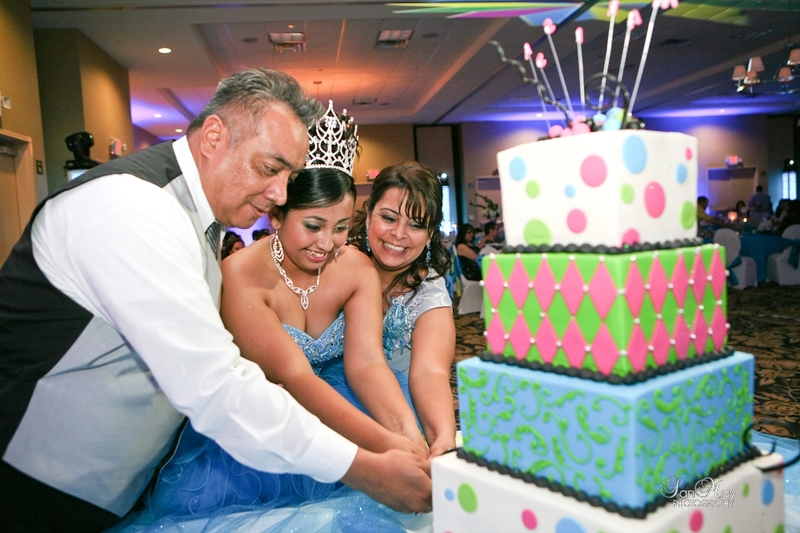 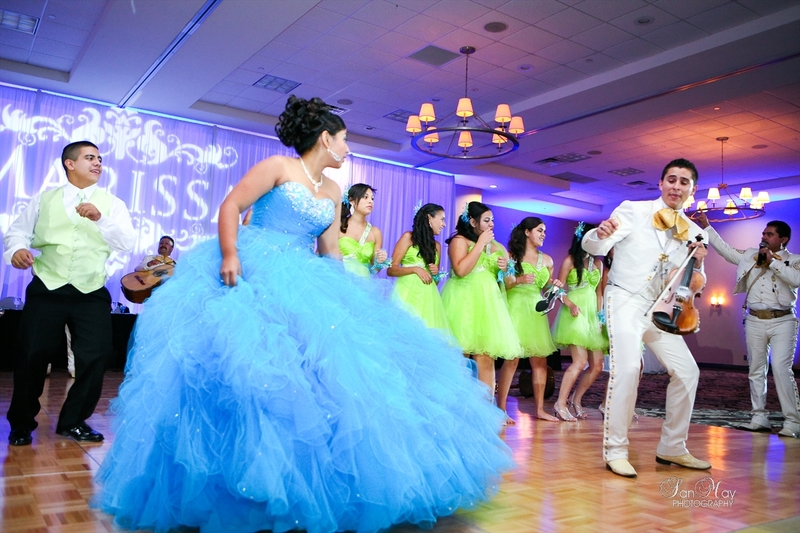 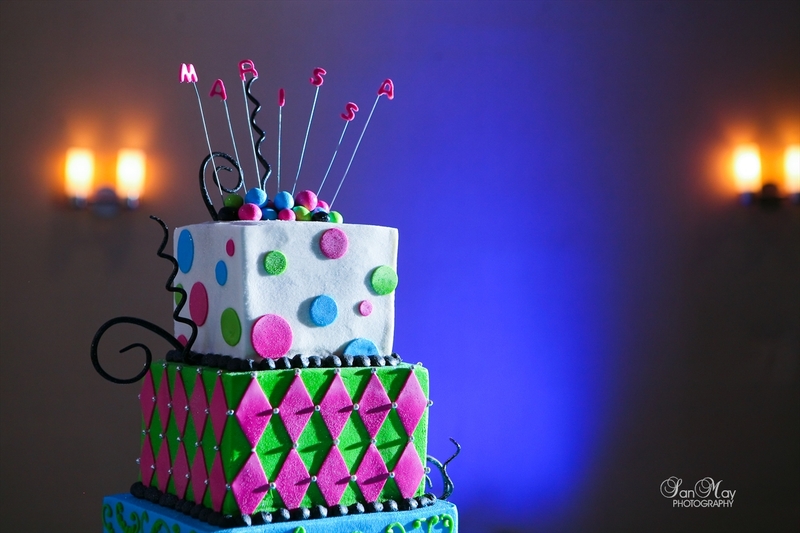 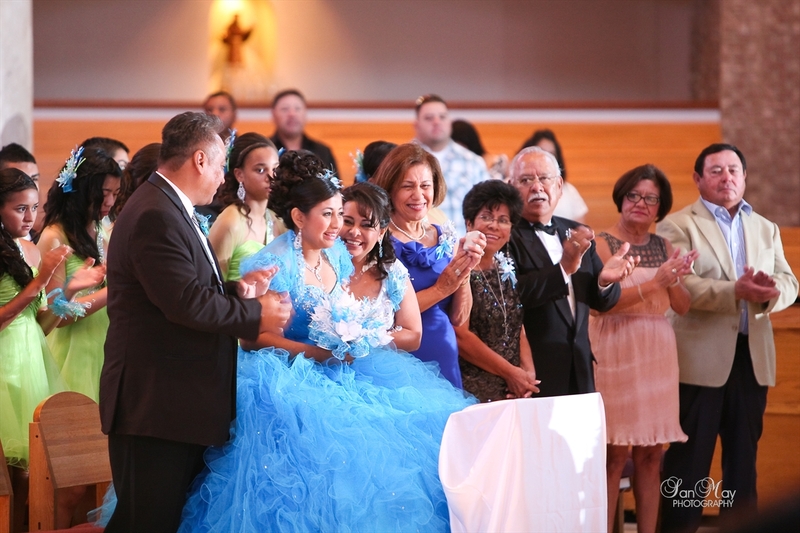 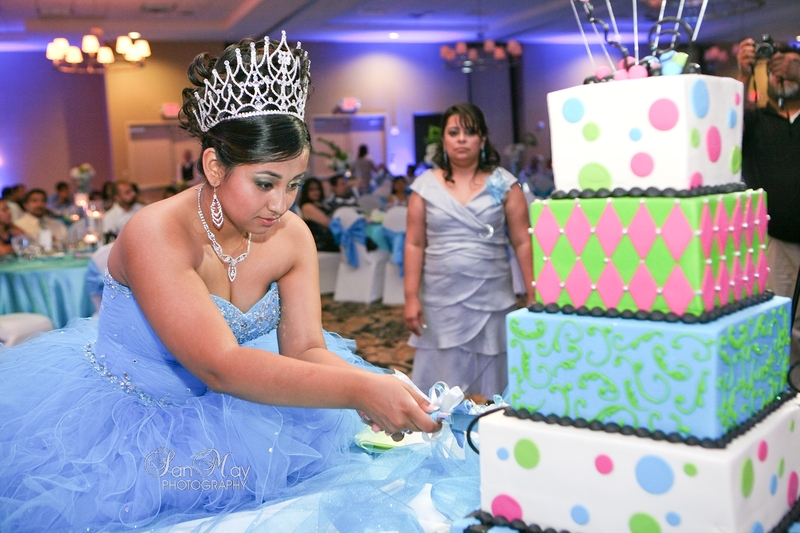 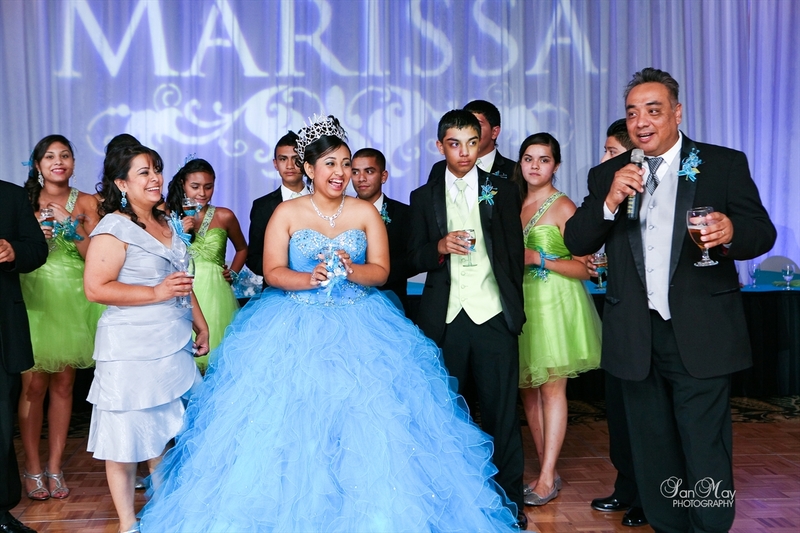 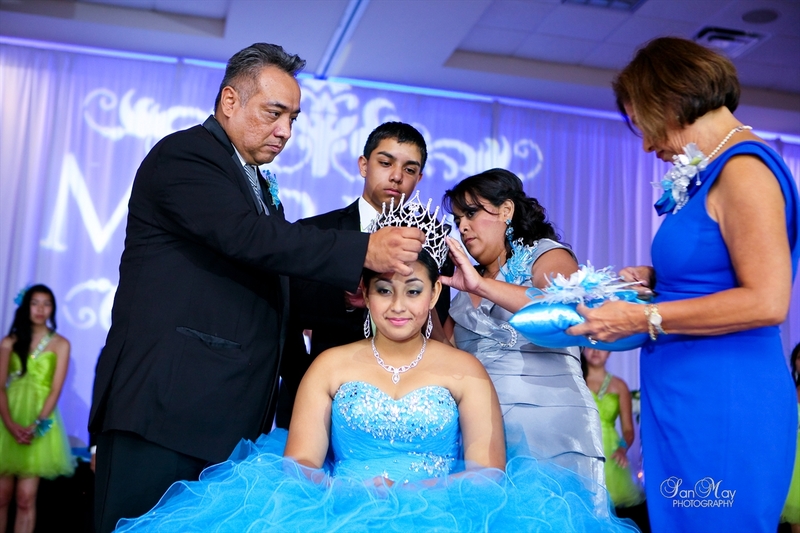 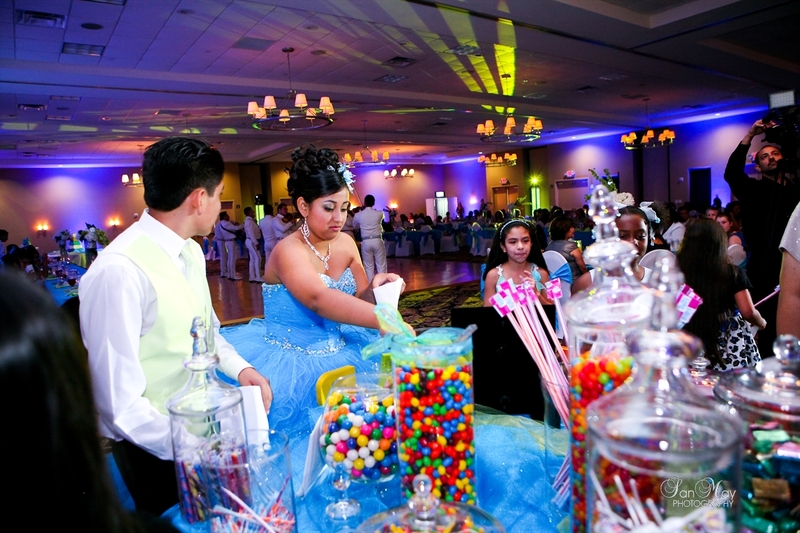 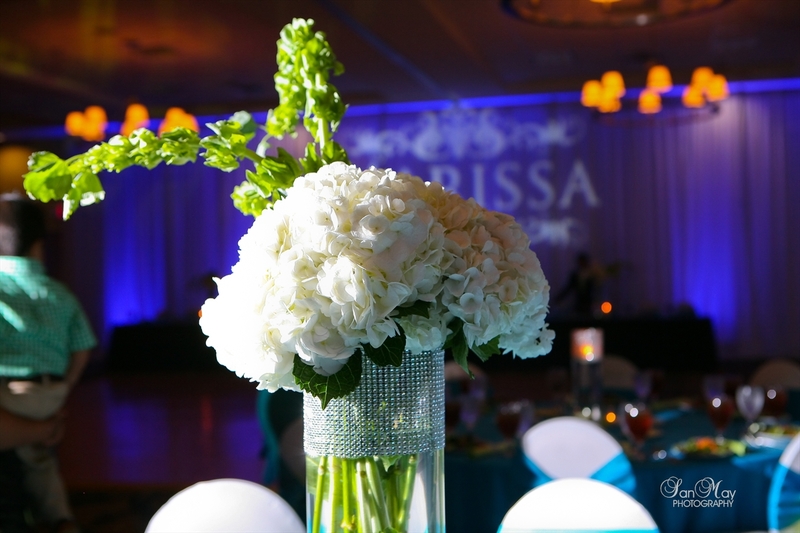 We had a great time capturing this wonderful Quinceanera celebration for Briana and her loved ones. 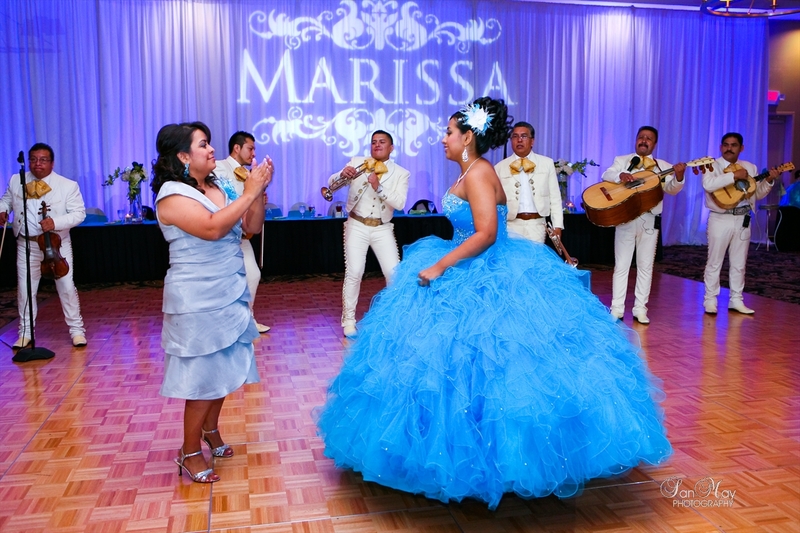 Briana looked stunning in her beautiful white Quinceanera gown. 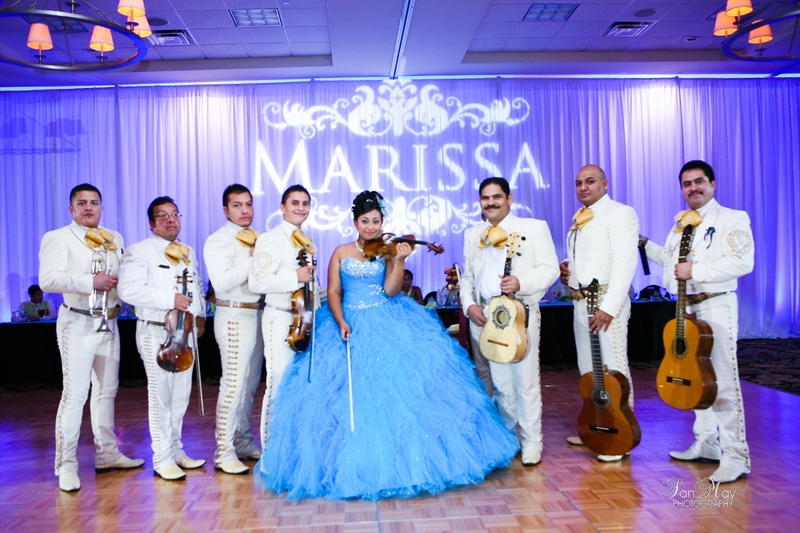 She had a beautiful ceremony in Arlington TX, followed by a reception party at The Oasis Ballroom in Dallas TX. 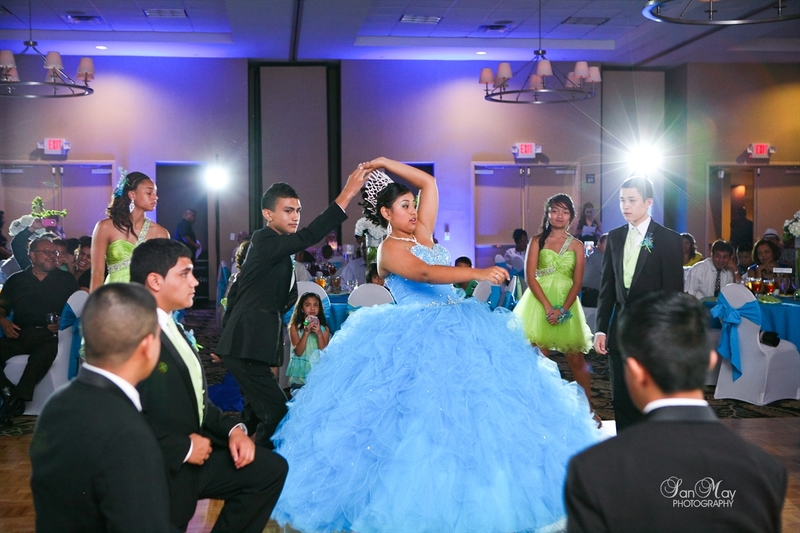 We enjoyed capturing the fun dance choreography preformed by the Quinceanera and her court of honor, and great dancing with all her guests afterwards. 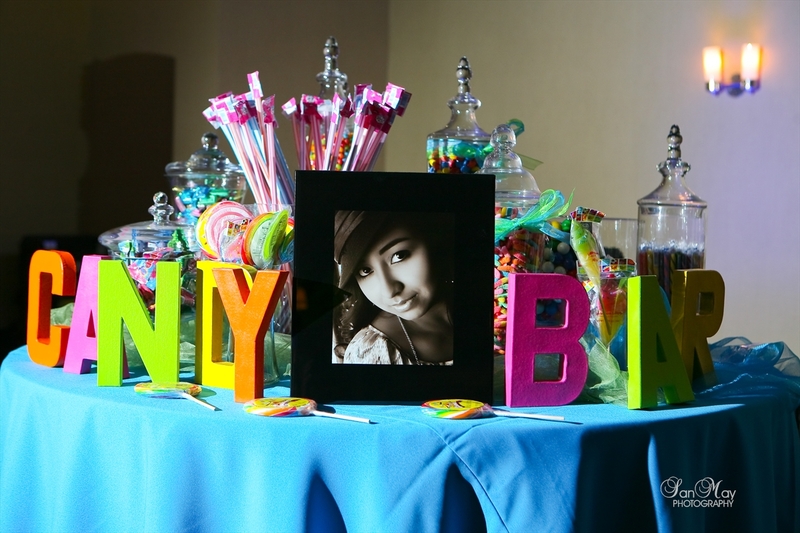 It was a rainy evening but the party went on and wrapped up with a huge surprise gift by her parents…a car was given to Briana at the end of the night. 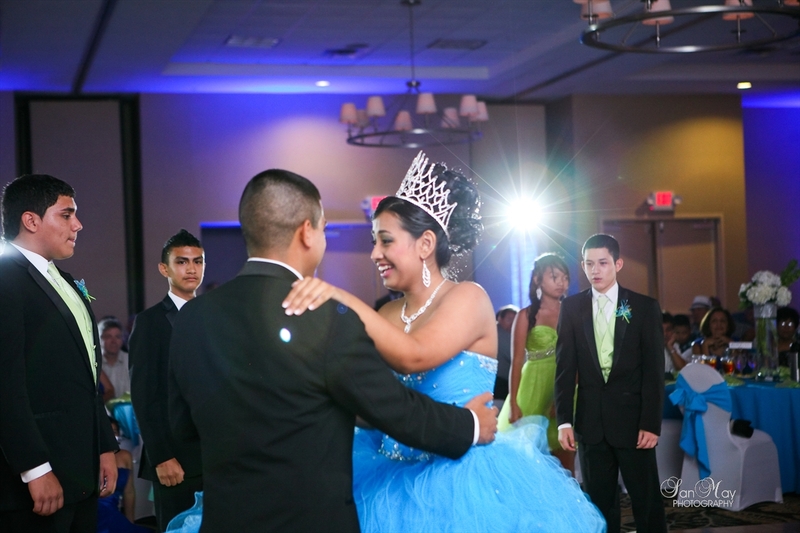 What a great way to end the night! 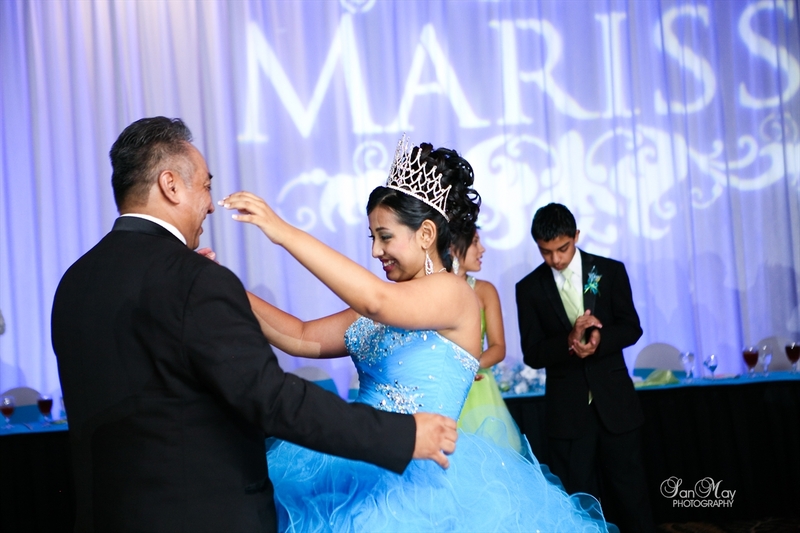 Thanks this wonderful family for trusting SanMay Photography to capture this beautiful celebration. 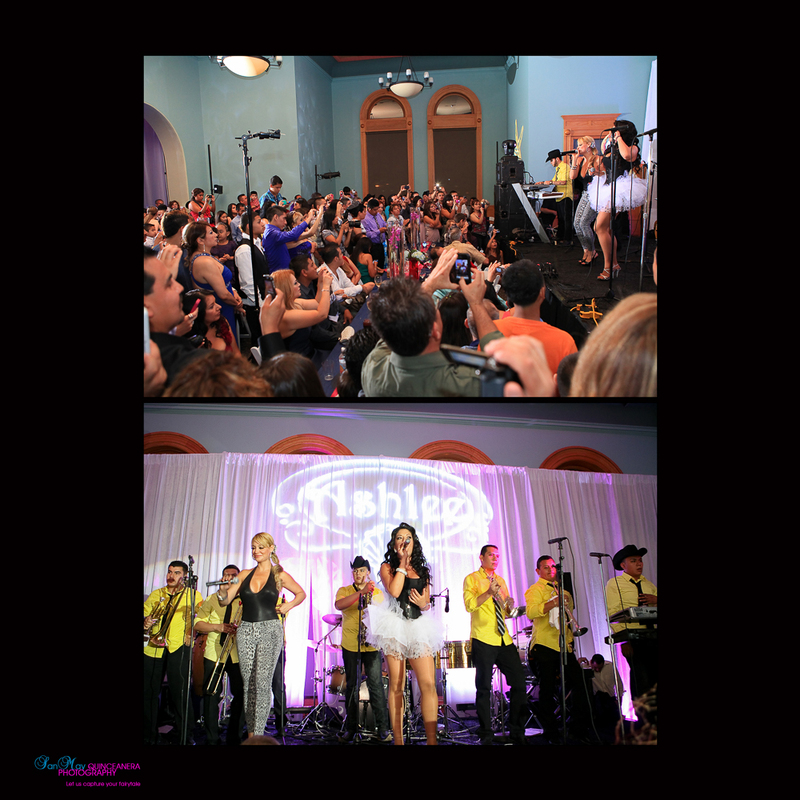 What a fanstastic party!! 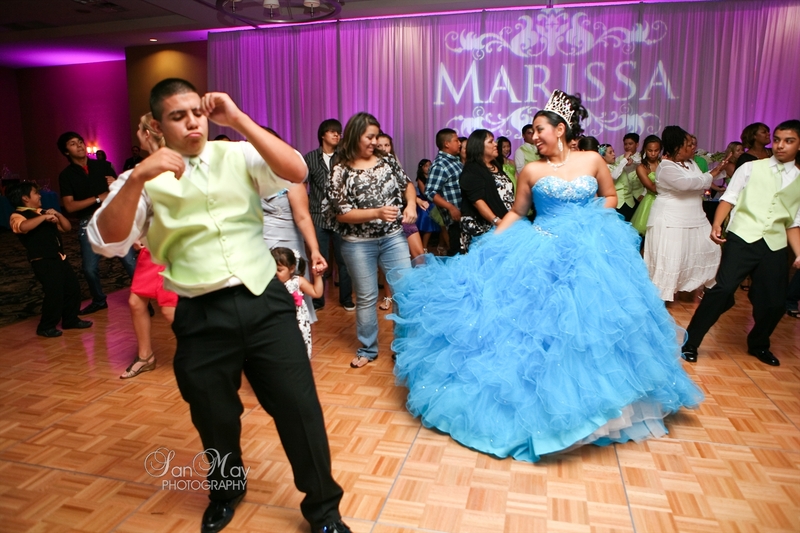 This was by far the best Quince event ever, we had a wonderful time photographing Ashlee and her beautiful family at the www.oldred.org/facility-rentals/ . 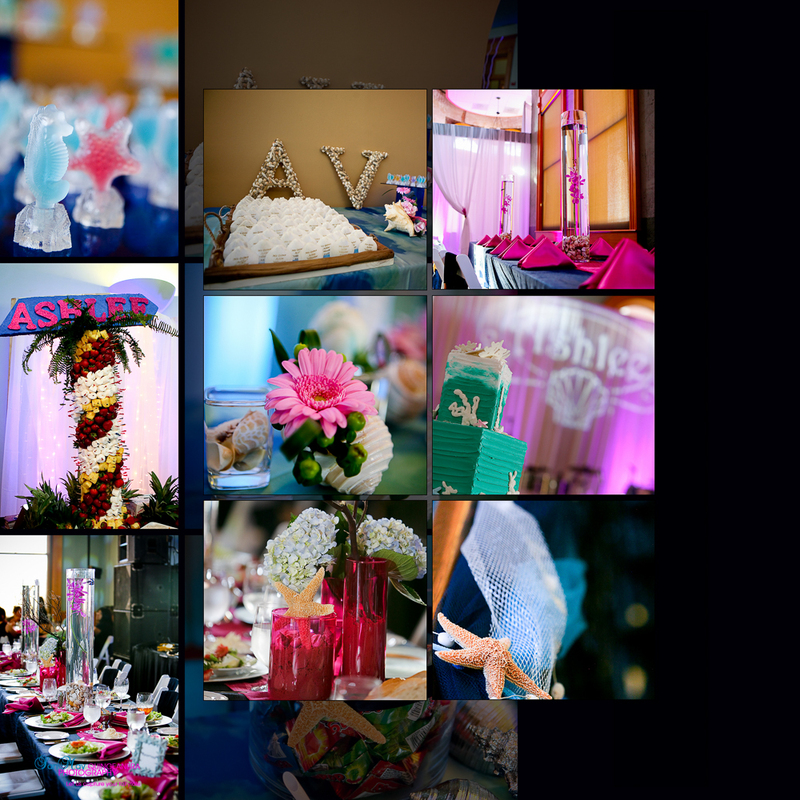 Congratulations to Ashlee on this special day! 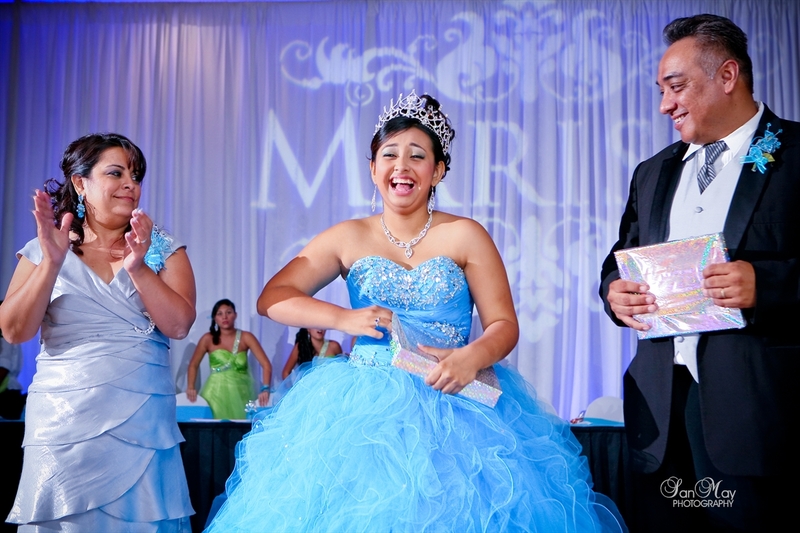 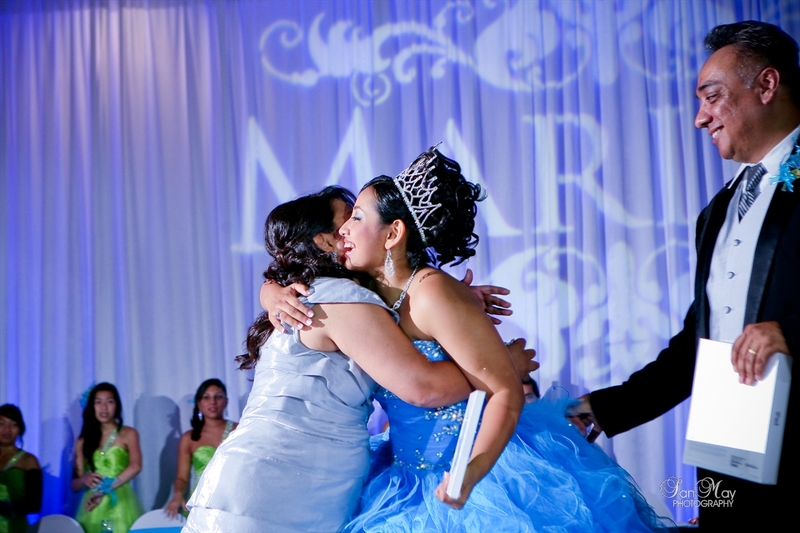 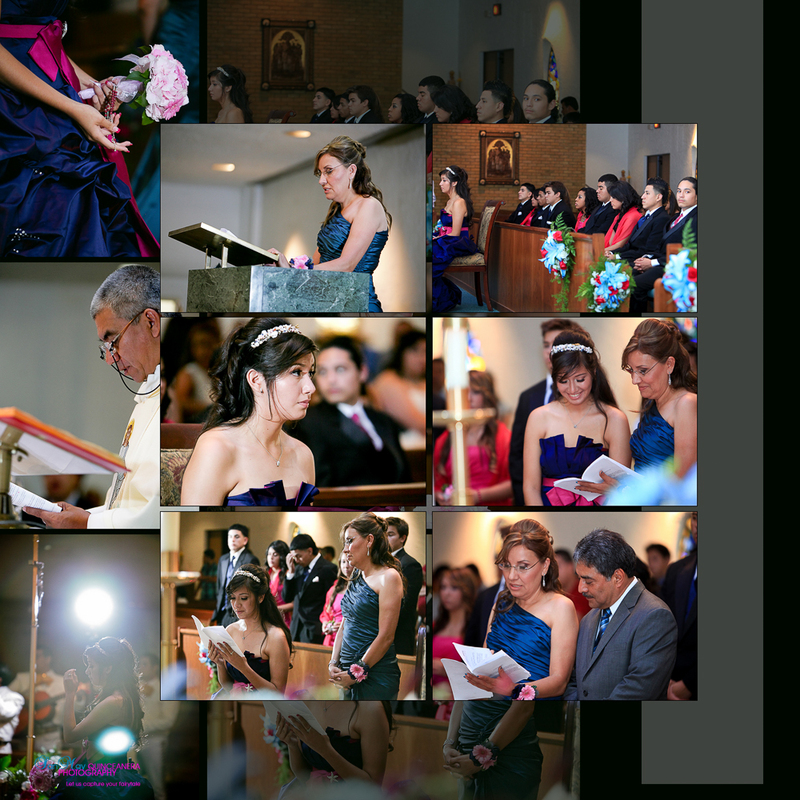 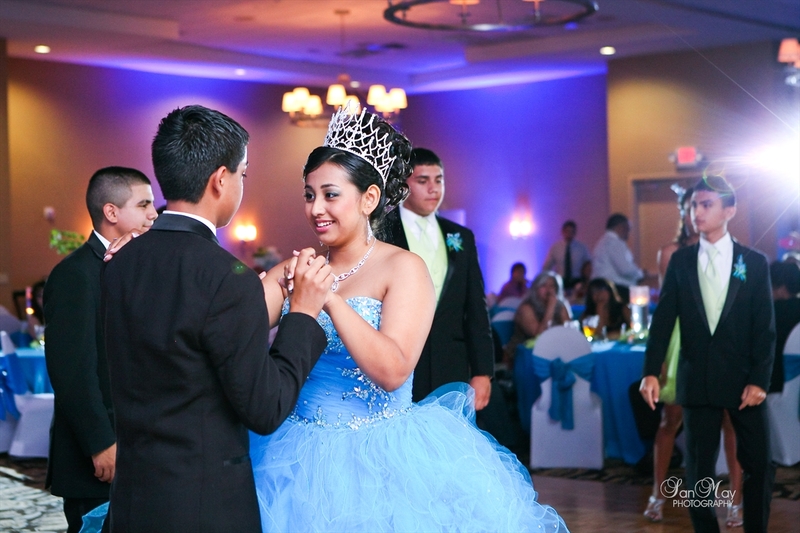 Thank you for allowing us to capture your Quinceanera. 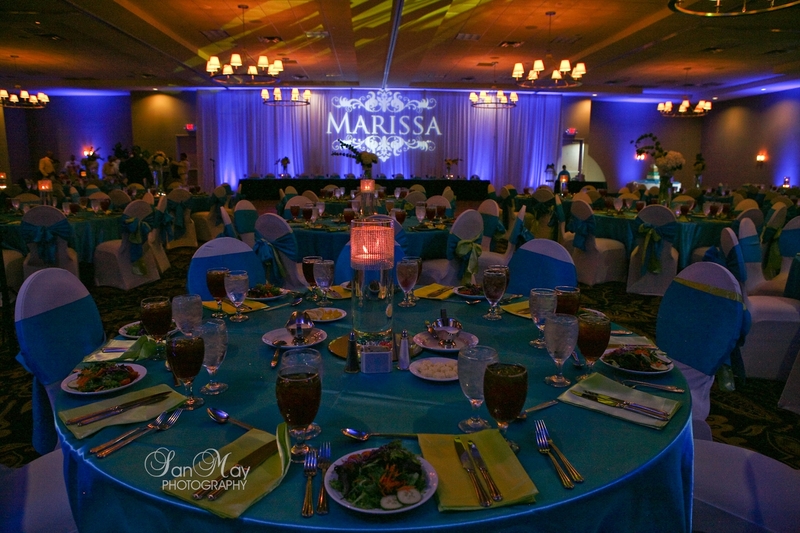 What a fanstastic party!! 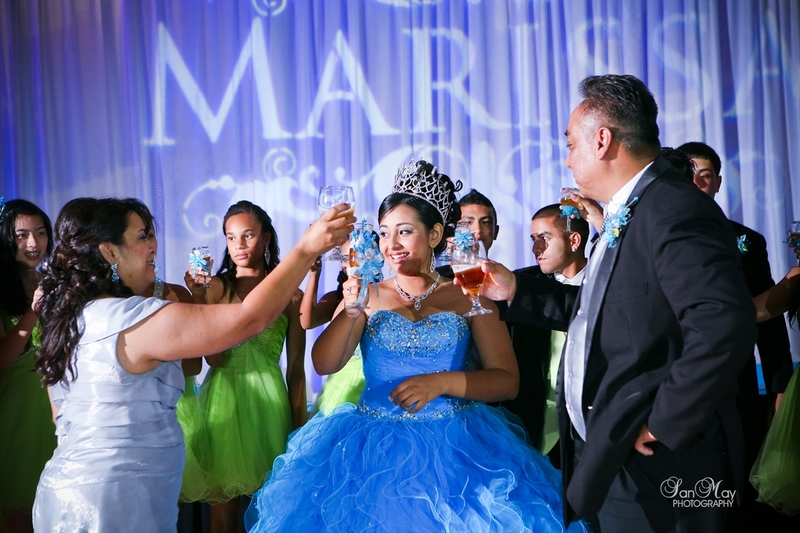 This was by far the best Quince event ever, we had a wonderful time photographing Ashlee and her beautiful family at the http://www.oldred.org/facility-rentals/ . 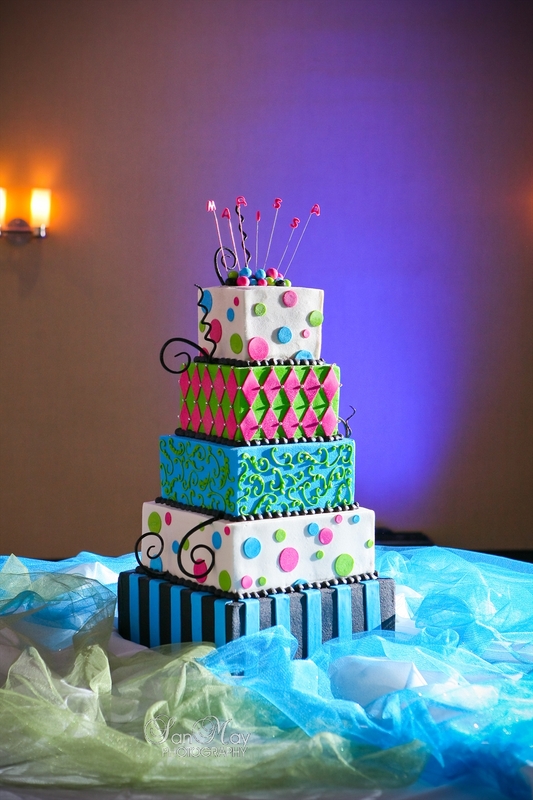 Congratulations to Ashlee on this special day! 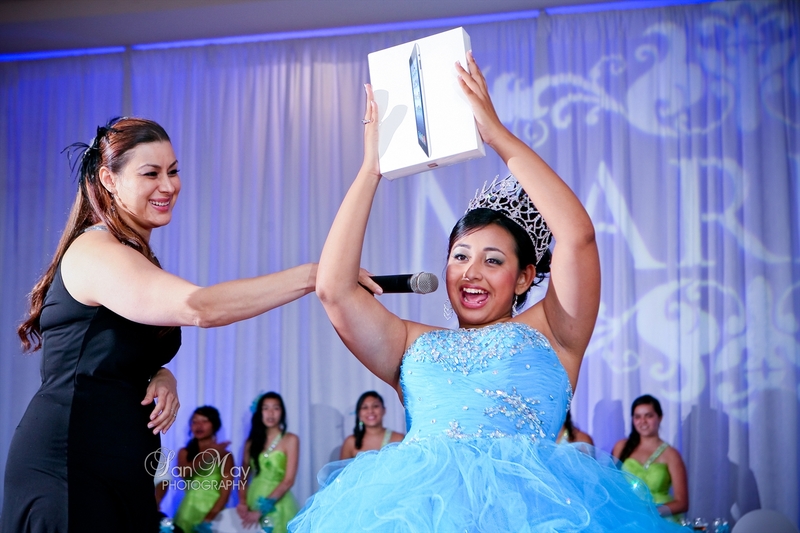 Thank you for allowing us to capture your Quinceanera.